Popular overseas, the R&B group Naturally 7, which performs without instruments, is poised to take its home country by storm as well. The group of seven singers has been together since 1999 and released four albums. The group became a YouTube smash with a video of a performance in the Paris subway. 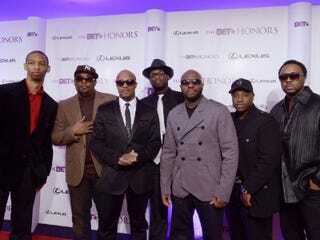 Check them out on the BET Honors telecast, airing Monday, Feb. 21, at 9 p.m. ET/8 p.m. CT.